One of six siblings, Mina Rosner was born in 1913 in Buczacz, in the Austro-Hungarian Empire at the time, now located in western Ukraine. Her family was well known in town because her father owned a wholesale distribution company, a soft drink factory, as well as a retail store. She was married in 1939 to Michael Rosner and they had a son. When her town was invaded by the Germans in 1941, Mina was separated from her husband. She had many narrow escapes with death, hiding in Nazi-occupied territory for three years. Mina’s entire immediate family was wiped out in the Holocaust and her son Isaac did not survive the deprivations of the war. Mina and Michael were re-united in 1946, and in 1948 they left Poland to start life anew in Winnipeg. They had two sons in Canada, and for many years ran a corner grocery store in Winnipeg’s north end. Mina wrote a book about her war-time experiences called I am a Witness. 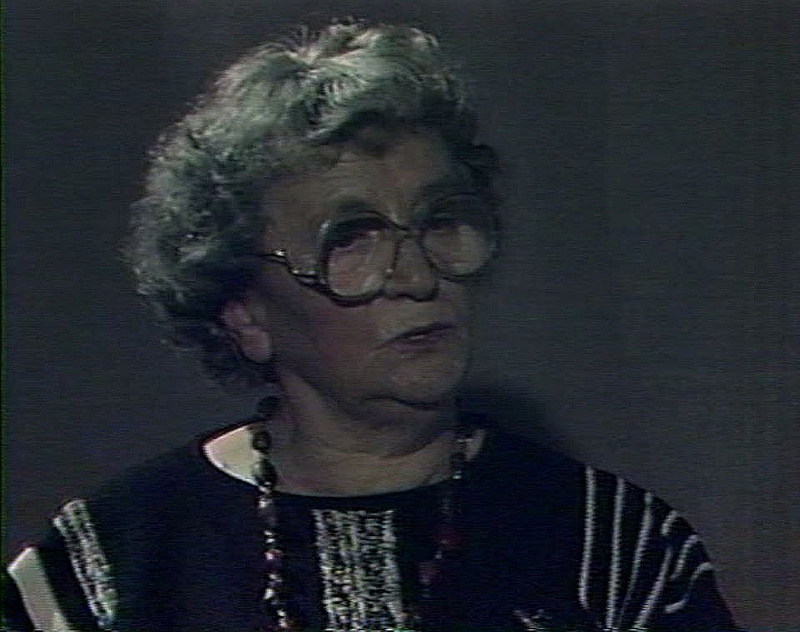 She was also featured in a CBC documentary in 1990 called Return to Buchach. She died in 1997.